Yard | Officina In s.r.l. The idea of the sofa system finds its utmost expression in this project by Francesco Rota: upholstered, it combines the modularity of a sofa with that of the retentive systems that are an integral part of Lema’s DNA. The collection that re-interprets the typical creativity of the industrial design of the ‘60s was born in fact from the intention to find a meeting point between different systems: padded volumes are integrated to counters, shelves, tables and containers that matched in various configurations, create countless multi-functional compositions. 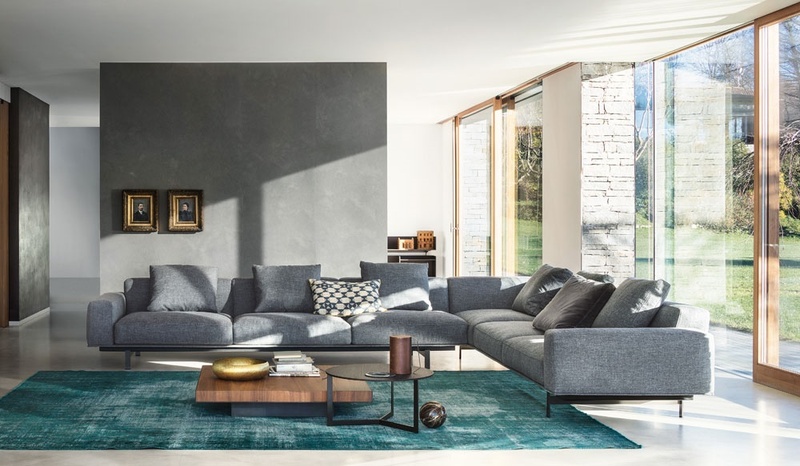 The structure, made in metal upholstered with fabric, is a top supported by feet joined through hooks of rectangular section that provides supports to the cushions and armrests, laid without hiding it, in a harmonious contrast that becomes its main aesthetic feature. The top also acts as support for shelves and containers. 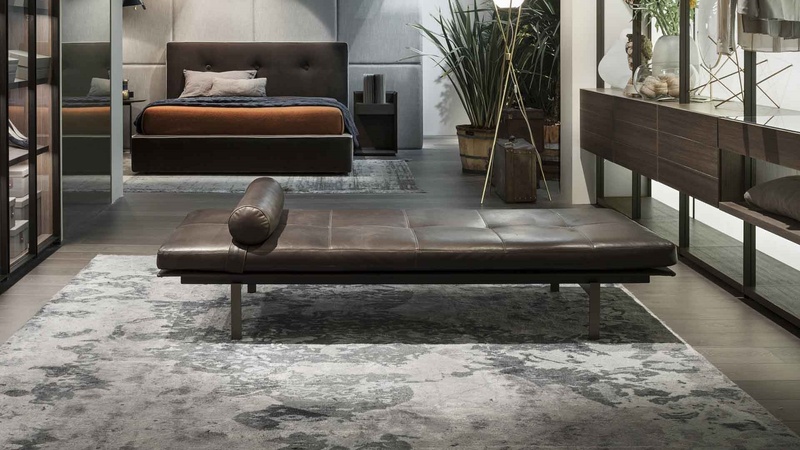 The collection is completed by an elegant daybed, also proposed in an elegant leather version.